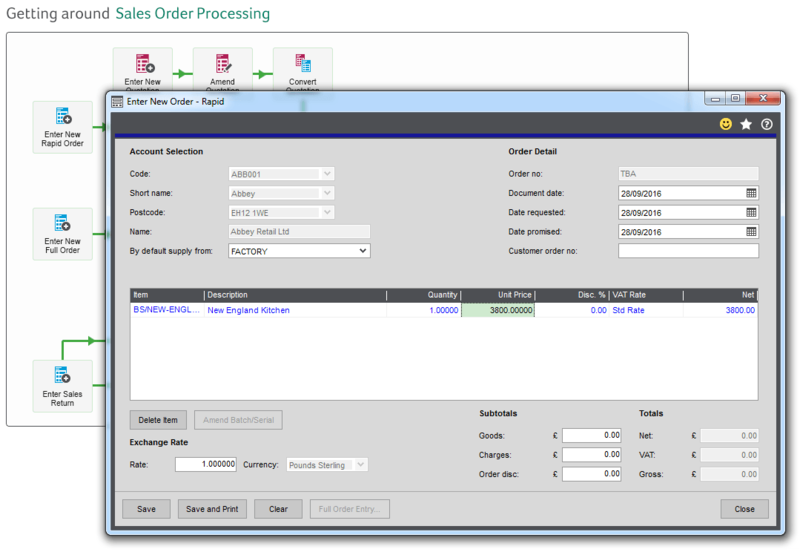 Most of the functions that you wish to access in Sage 200 are located in the side menu. However, many users of Sage 200, and especially those that are new to the system, prefer to work with something a little more visual. For most modules within the system there is a Process Map. These Process Maps give users a visual representation of the flow within the system. 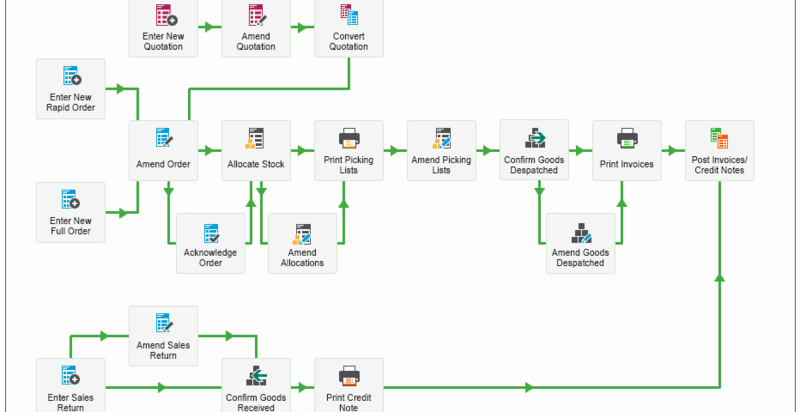 For example, for the Sales Order Processing Process Map, you can see the entire life cycle of a sales order, from entering the order, to allocating the stock, dispatching the goods and printing invoices. 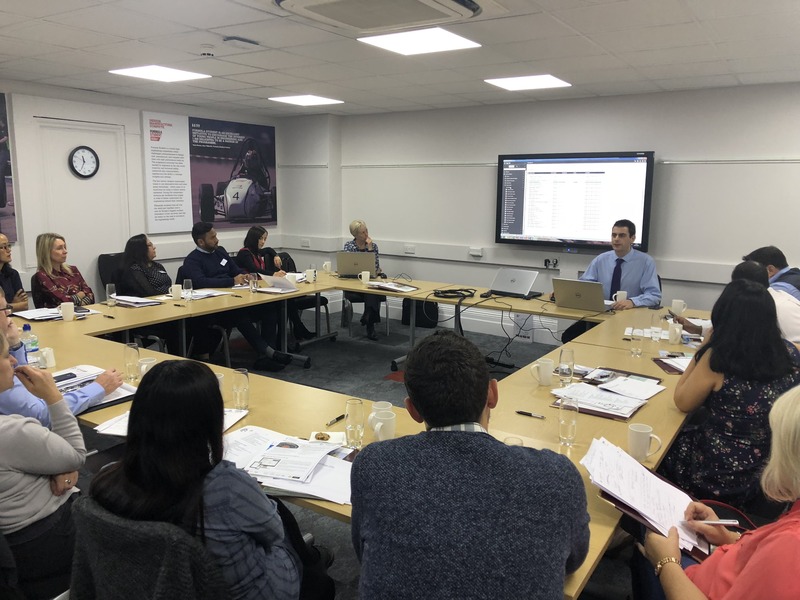 Depending of course on the role of the Sage 200 user, it’s possible that they can remain on the Process Map that’s relevant to their job, without ever leaving it. And so, it may be worth saving this as your homepage! Many users of Sage 200 access the same area each morning when they first log on, and it only takes a few clicks to get there too. But, add all of these clicks together for a full year and it starts to look like a serious amount of time. 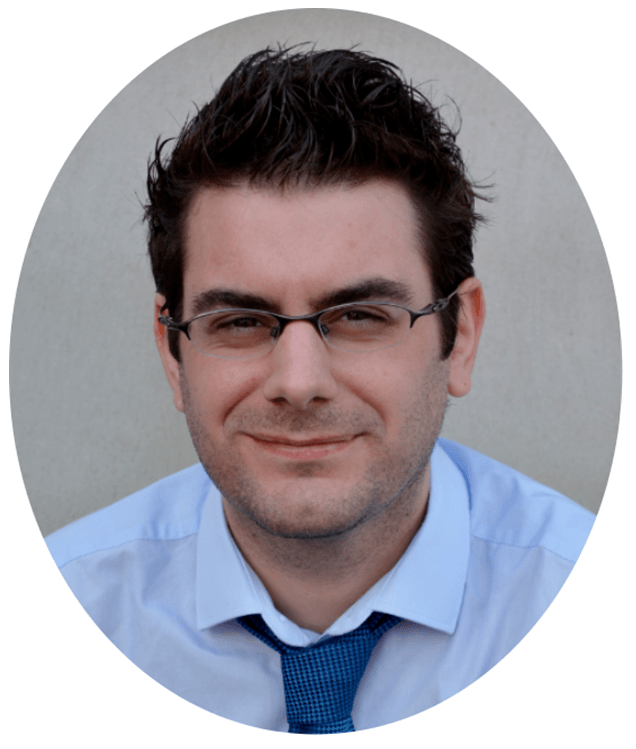 With only one simple change to your system, you can save yourself this time, and I’m sure your boss will appreciate your pro-active time-saving attitude too. Setting an area of Sage 200 as your home page means you will be taken to the same area each time you open Sage 200. 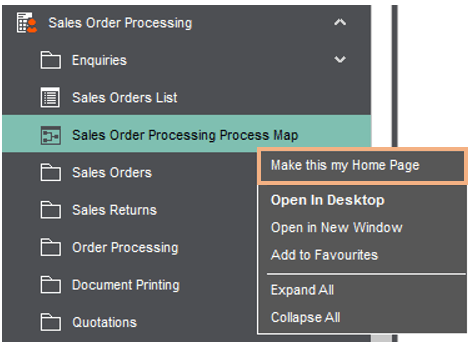 Use the menu to navigate to the area you wish to save as your home page, right-click and select ‘Make this my Home Page’.